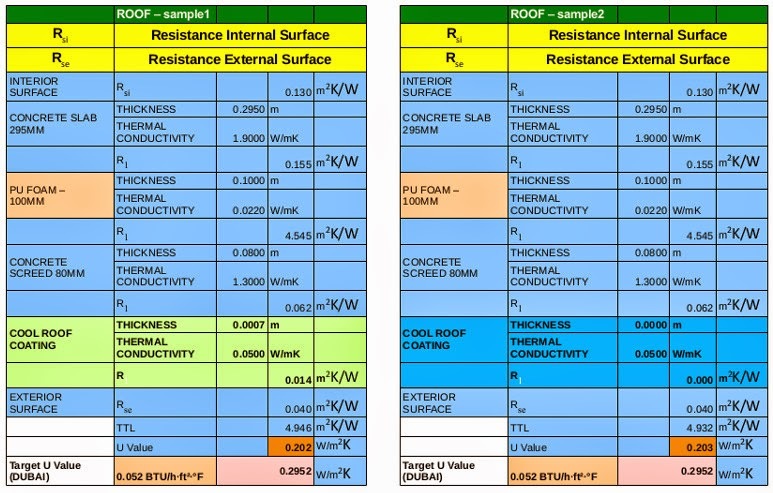 Cool Roof coatings cannot be included in the U value calculations of any building. Coatings, which are applied at .5mm or .7mm thickness, has very negligible R value to function as an insulation. Cool Roof coatings work on a completely different principle. Solar Reflective Index (SRI) of a coating is a clear indicator of how much Solar Heat Gain (SHG) can be reduced. Higher the SRI, Lesser the SHG.